We are one of the top two health charity funders of Crohn’s and colitis research in the world, investing over $100 million in research since 1974, leading to important breakthroughs in genetics, gut microbes, inflammation and cell repair as well as laying the groundwork for new and better treatments. Our Crohn’s & Colitis – Make it stop. For life. Campaign has already achieved $44 million (or 44%) in the third year of a seven year campaign and funds raised are already advancing our mission. Our Promise is to cure Crohn’s disease and ulcerative colitis and improve the lives of children and adults affected by these chronic diseases. We work towards this promise by investing in research, patient programs and services, advocacy and awareness. 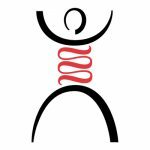 Crohn’s and Colitis Canada was founded in 1974 by concerned parents hoping to help their children and others living with Crohn’s or colitis. Watch the compelling story to learn more about our beginnings.